Kick off your visit on the 6th (Thu): get to know the resident critters at Melbourne Zoo, then admire the natural beauty at Royal Botanic Gardens, and then enjoy breathtaking views from Eureka Skydeck 88. Get ready for a full day of sightseeing on the next day: see the interesting displays at Melbourne Museum, contemplate the long history of Old Melbourne Gaol, and then get your game on at Zero Latency. To find photos, other places to visit, ratings, and more tourist information, read Melbourne trip planner. New Delhi, India to Melbourne is an approximately 16-hour flight. You can also do a combination of train and flight. The time zone difference when traveling from New Delhi to Melbourne is 4 hours. In June, Melbourne is colder than New Delhi - with highs of 16°C and lows of 6°C. Wrap up your sightseeing on the 7th (Fri) early enough to travel to Canberra. 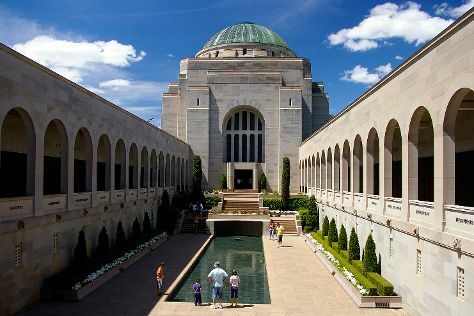 Kick off your visit on the 8th (Sat): get curious at Questacon and then take an in-depth tour of Australian War Memorial. To find reviews, ratings, where to stay, and tourist information, you can read our Canberra trip itinerary builder app . Getting from Melbourne to Canberra by flight takes about 3.5 hours. Other options: drive; or take a bus. Traveling from Melbourne in June, plan for little chillier nights in Canberra, with lows around 0°C. 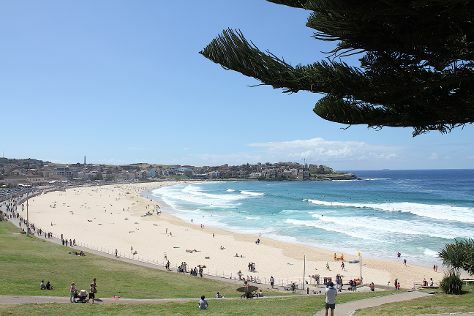 Wrap up your sightseeing on the 8th (Sat) early enough to drive to Sydney. Kick off your visit on the 9th (Sun): see a show at Sydney Opera House, then take in the views from Sydney Harbour Bridge, then stroll through Bondi Beach, and finally admire the natural beauty at Royal Botanic Garden Sydney. Get ready for a full day of sightseeing on the 10th (Mon): take a stroll through Darling Harbour, get interesting insight from Tours, then wander the streets of The Rocks, and finally make a trip to Mrs Macquarie's Chair. For more things to do, where to stay, maps, and tourist information, you can read our Sydney online tour itinerary planner . Traveling by car from Canberra to Sydney takes 3.5 hours. Alternatively, you can fly; or take a bus. Expect a bit warmer temperatures when traveling from Canberra in June; daily highs in Sydney reach 21°C and lows reach 11°C. Wrap up your sightseeing by early afternoon on the 11th (Tue) to allow time for travel back home.